My daughter was given pickled yellow wax beans at a friend’s grandparents place. Both girls absolutely loved them and devoured an entire jar in one sitting. I was asked to plant beans in the coming season to pickle. 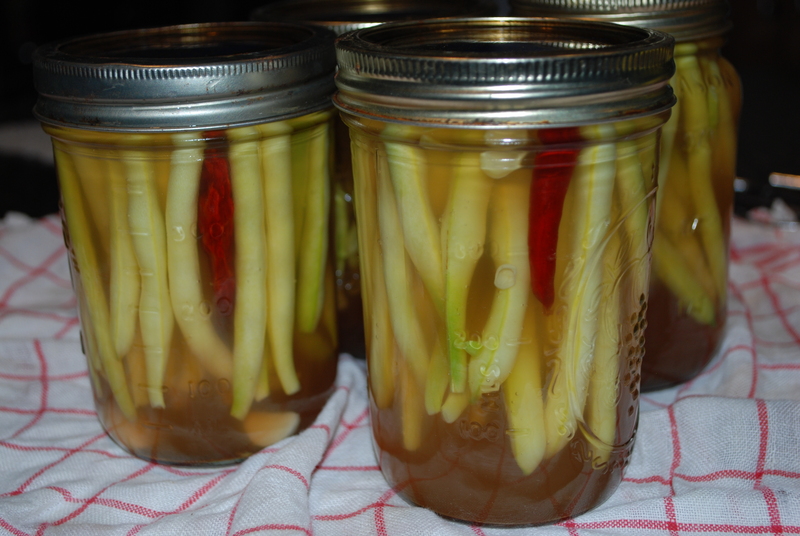 I’ve never pickled before and had enough beans from the garden to experiment with. Sadly, the beans were not prepared by said grandparents so I have no recipe. After some digging and researching in books and on line I decided to fuse a few recipes together. 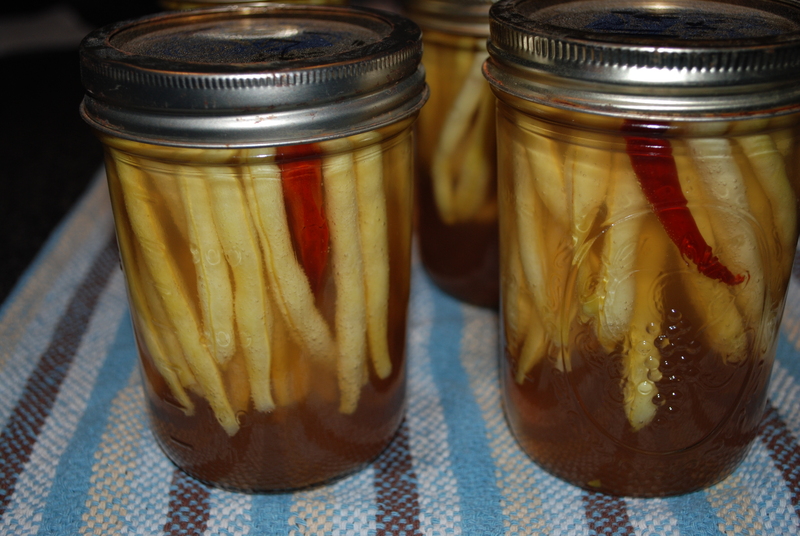 Place pint canning jars (wide mouth are easier to fill) in a large pot, fill and cover with water, bring to a boil and simmer for 10 minutes to sterilize. In the meantime, prepare the beans by cleaning, discarding damaged beans, cutting off ends and removing strings if necessary. Remove jars from the water (I used kitchen tongs) and place upside down on a clean towel. Pour some of the boiling water to cover the lids and rings in a separate bowl. Prepare the brine- bring vinegar, water, sugar and salt to a boil and then simmer until the sugar and salt has dissolved and the jars are packed. Packing jars- Put 2 black peppercorns and 1 clove garlic (2 halves) into each jar. 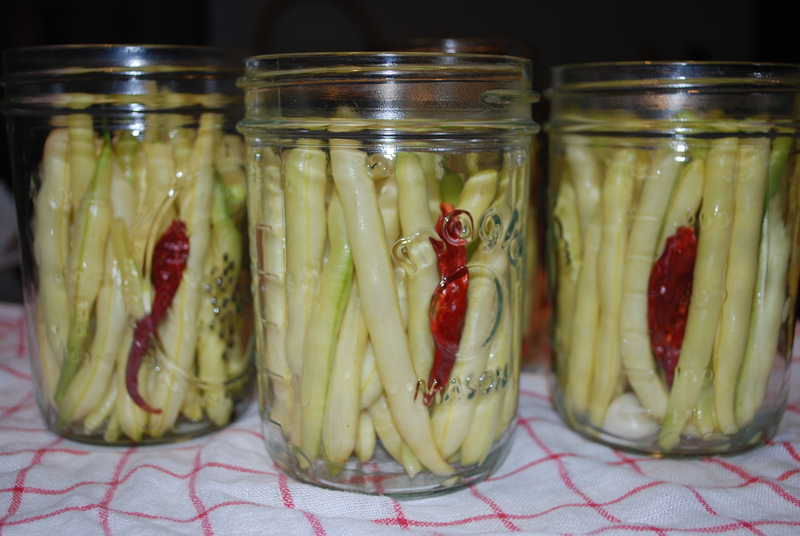 Pack each jar tightly with the beans (be sure there is 1/2 inch of headspace left in the jar) and 1 dried chili pepper. Pour the boiling brine into the packed jars leaving 1/2 inch of headspace. 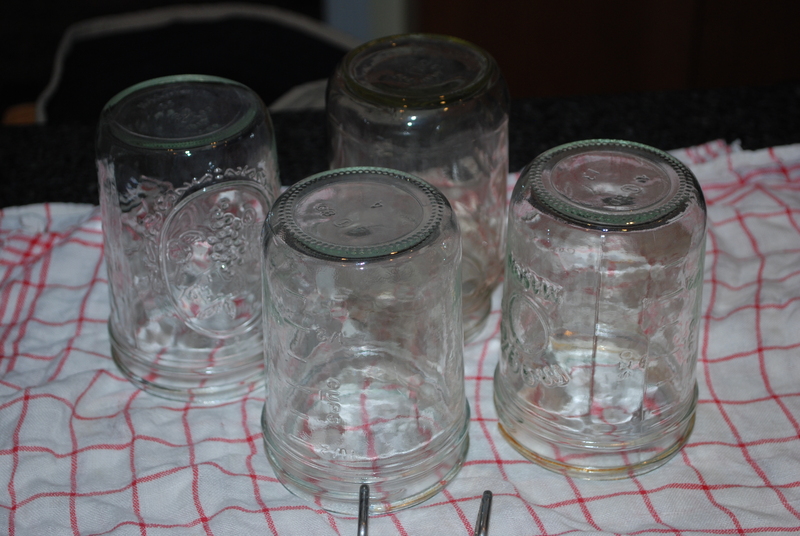 Wipe the edge of the jars, place the lids on (be sure to use new lids/do not reuse lids) and secure with rings. (I’m not sure if I packed them tightly enough because the beans floated up. I guess I need to practice and do more research) Process the jars for 10 minutes by placing back into the hot water (you may need to remove some water that has been displaced by the now full jars), bringing to a boil and simmer for 10 minutes. The lids will “pop” when the jars cool signaling that they are sealed. The lids can be tested by pushing in the center, if they do not “pop” they are good to store. If they do not store in the refrigerator and all will be fine. Store jars at least 6 weeks before opening so that the flavors can fully develop. 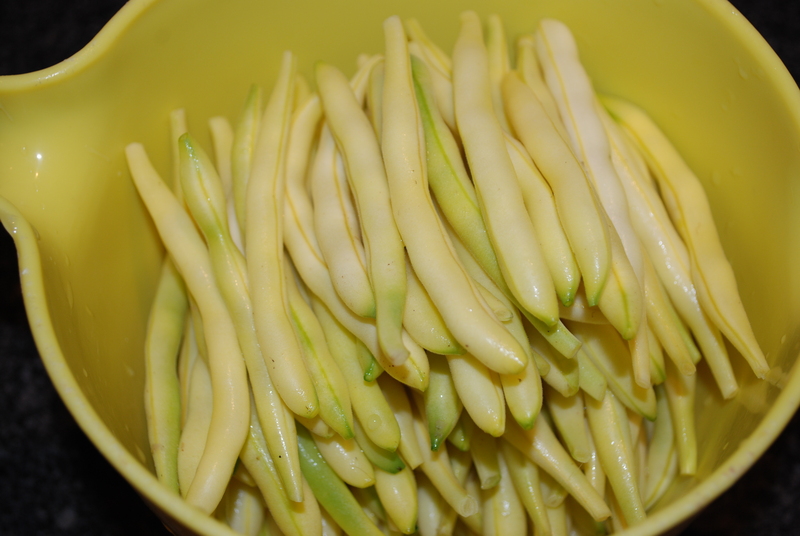 This entry was posted in in the garden, in the kitchen and tagged pickled, pickling, yellow wax beans on July 31, 2013 by lenapietri. I don’t like to waste or let things spoil. Today there were enough random left overs that hadn’t been taken for lunches that I needed to take action. By adding a little of this and that from the refrigerator and a few items from the garden, left overs become delicious new dishes. 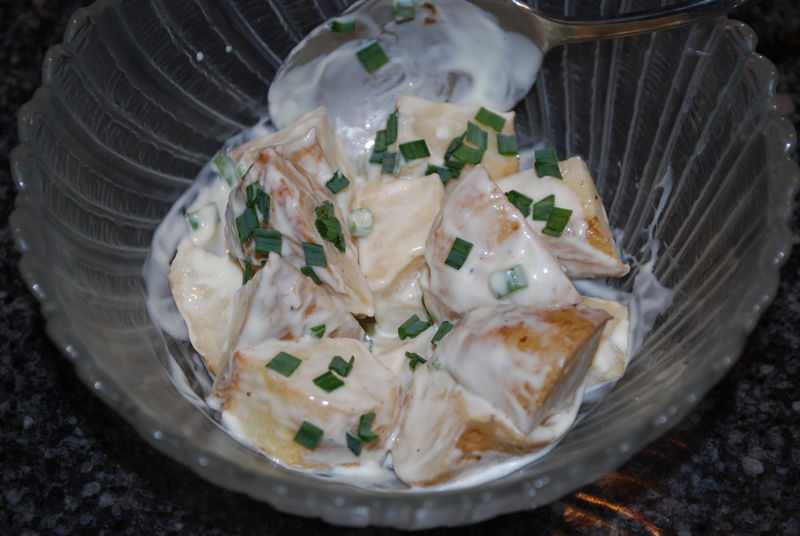 I mixed roasted potatoes from the other night with the garlic chive sauce for one serving of potato salad. 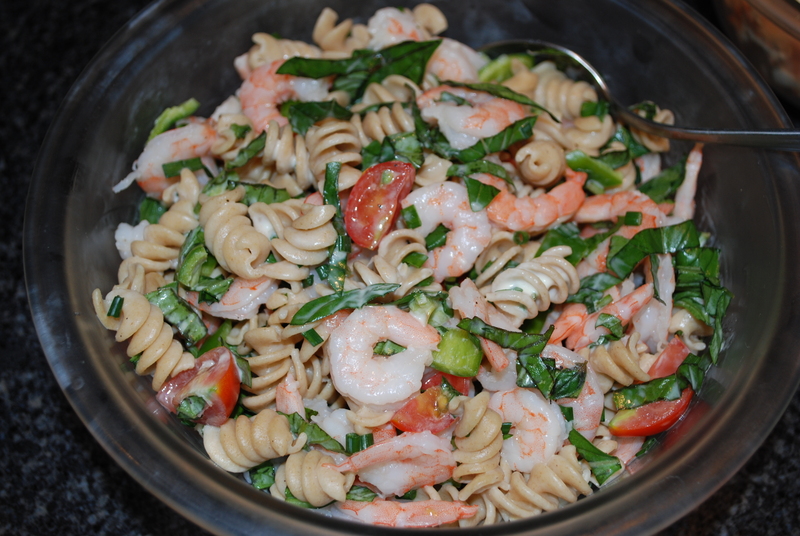 Left over whole wheat pasta, four tiny tomatoes from the garden, the first Italian pepper from the garden, basil from the garden, salad shrimp from the freezer, a spoonful of mayonnaise, salt and pepper made a great salad. 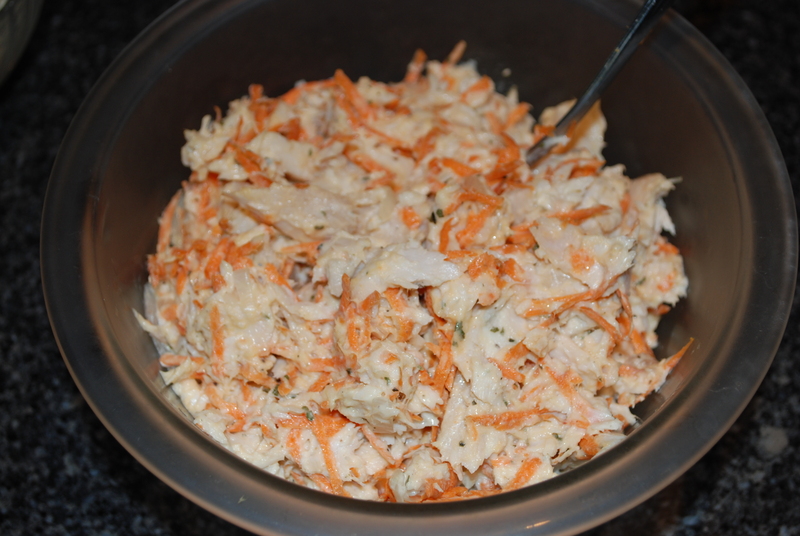 Margarita mahi mahi (3 fillets; about 1/4 lb each) crumbled and mixed with one shredded carrot, one Tablespoon of dried cilantro, salt and pepper and a spoonful of mayonnaise made a nice fish salad that I served on salad leaves. 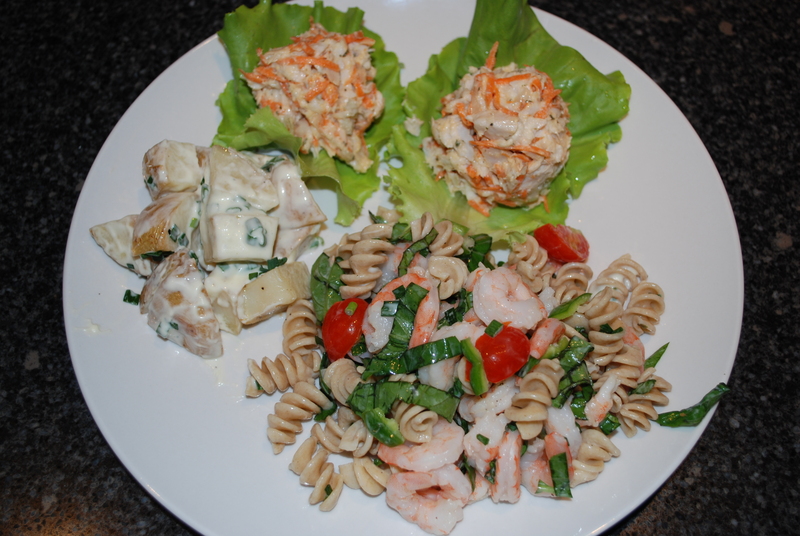 This entry was posted in in the garden, in the kitchen and tagged basil, fish salad, left overs, pasta salad, pepper, potato salad, salad shrimp, tomato on July 31, 2013 by lenapietri. 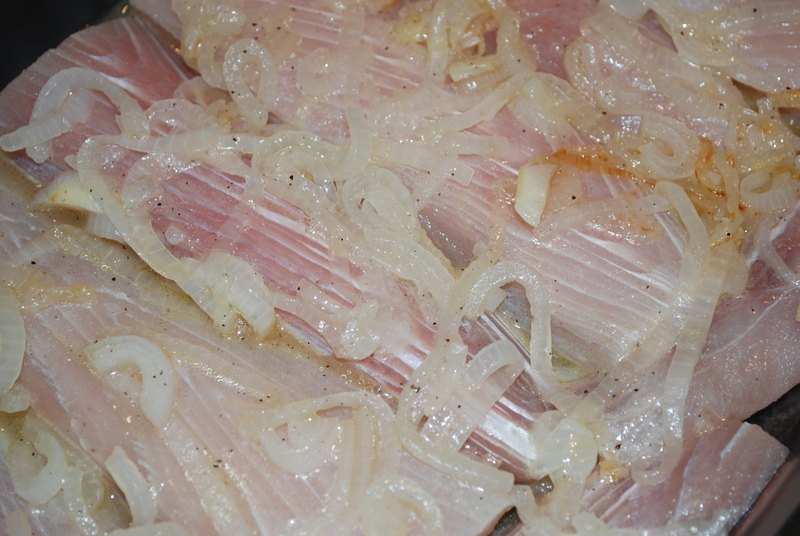 The urad takes about 30 minutes to cook till tender. Bring the urad and water to a boil then reduce heat to simmer. 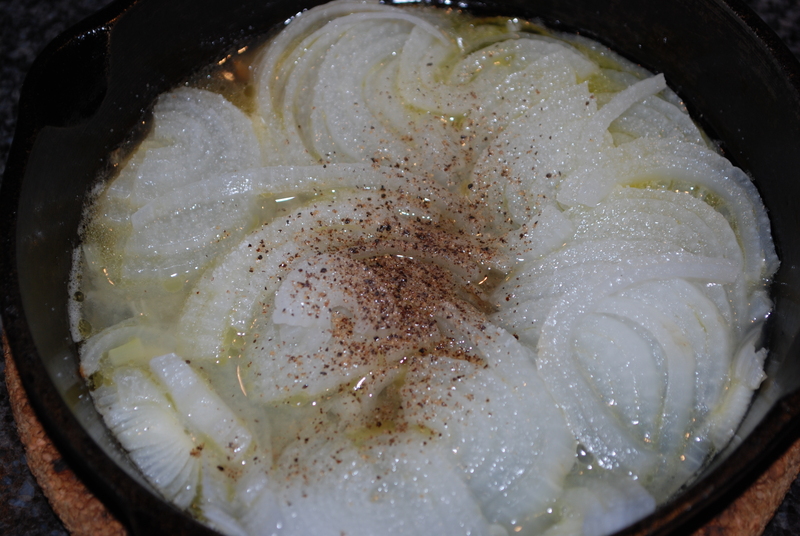 While the urad is simmering, sauté the onion in olive oil till tender in a large skillet with a lid. 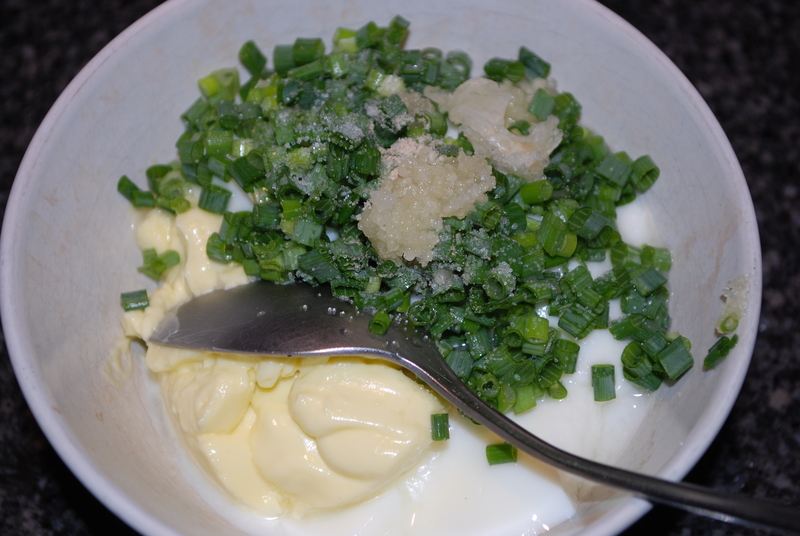 Add the remaining ingredients, stir to combine then turn off the heat. Prepare the remaining taco filling ingredients I used diced tomatoes, shredded cucumber, shredded cheddar cheese, avocado and salsa. To make this a vegan meal simply omit the cheese. Preheat oven (or toaster oven) to 425 for the taco shells. 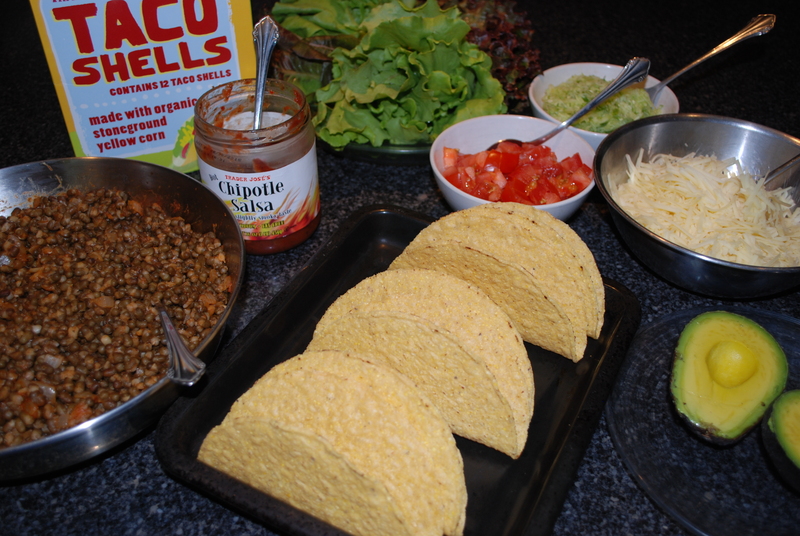 Drain the cooked urad, add to the sautéd seasoned sauce, stir to combine and reheat on low heat under a lid until the taco shells are warmed. 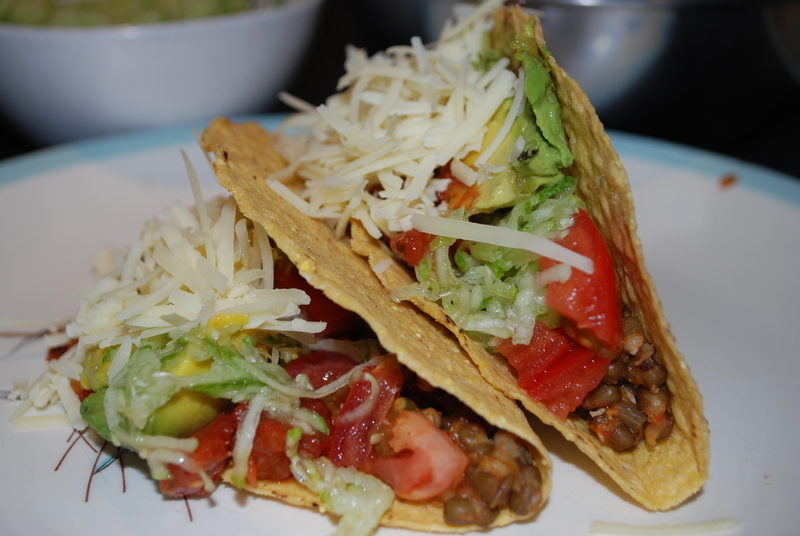 Prepare taco shells by placing them on a baking sheet and baking in the preheated oven for 2-3 minutes. Fill with vegan taco filling and top as desired. 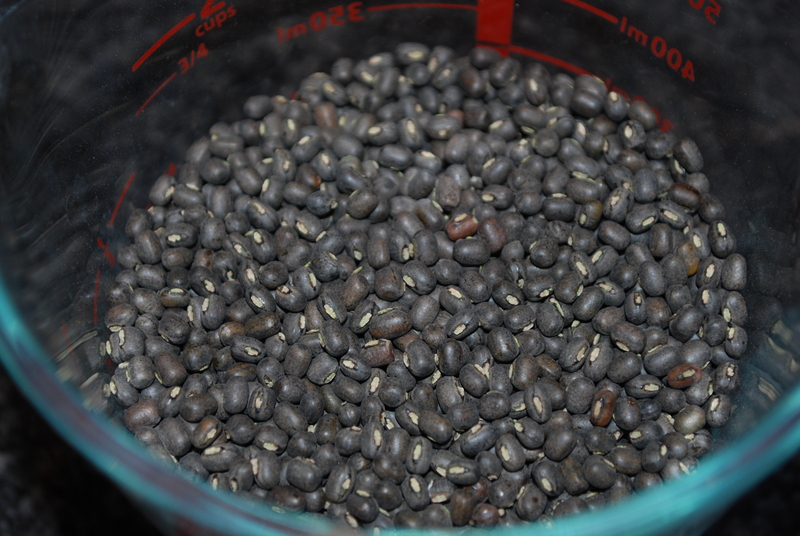 Black matpe beans also called black lentils or dal. If you can’t locate them at your local grocer or market, check at an Indian market. If you can’t find the urad whole the urad split with the hulls still on are still good, I just like the texture of the whole. These nutritive power houses are ideal for a vegan or vegetarian diet with 1% fat, 7% carbohydrate, 36% dietary fiber, 8g of protein, 2% calcium and 10% iron. 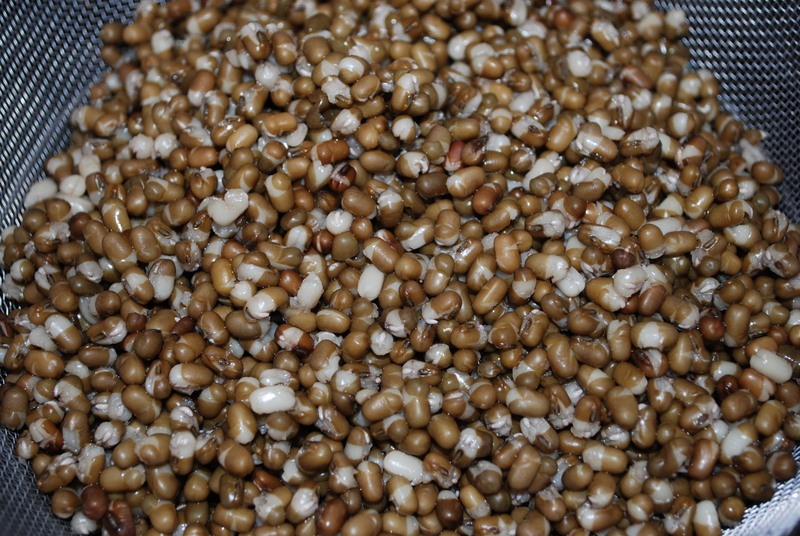 If you find urad that is white then the hulls have been removed and the nutrient content will be different. Black urad tend to be dusty so they will require a good rinse in a sieve prior to soaking as well as rinsing after the soak. 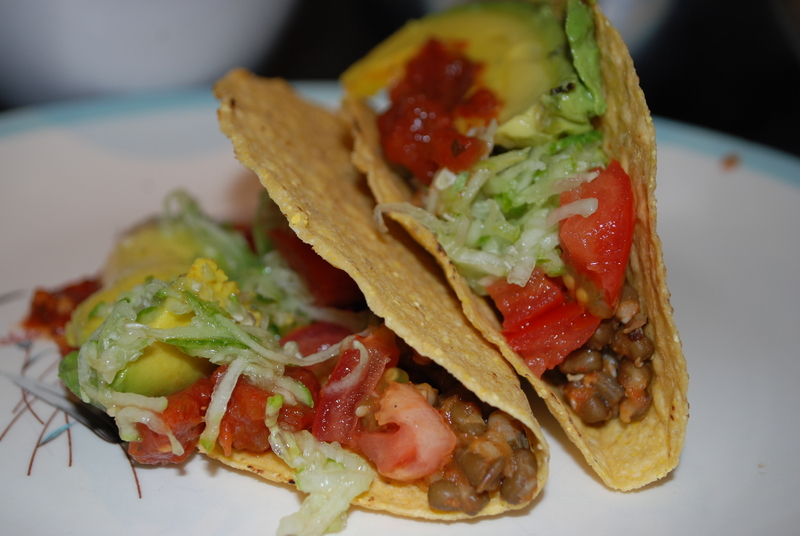 This entry was posted in in the kitchen and tagged taco filling, tacos, urad, urad whole, vegan, vegetarian on July 31, 2013 by lenapietri. 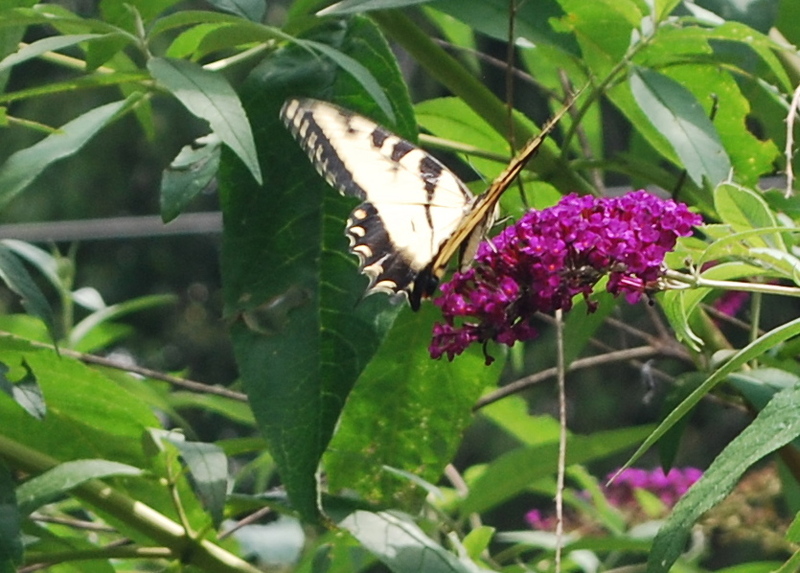 Beautiful butterflies are dancing and swaying on the butterfly bush in our garden. I have yet to see a Monarch butterfly this year so when I saw yellow flutters from a distance I grabbed the camera and ran. 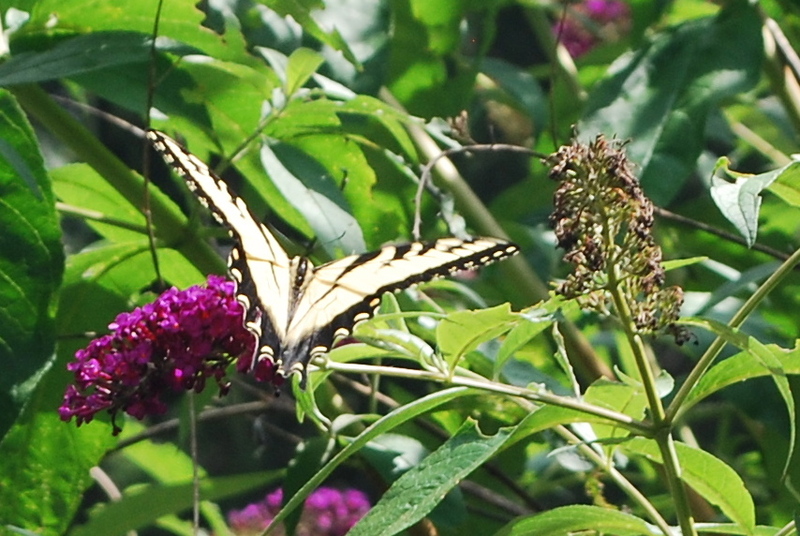 I found three Eastern Tiger Swallowtails enjoying fuchsia blossoms, golden sunshine and the cool breeze rocking the branches of our butterfly bush. The intense heat and humidity that scorched the garden and made it nearly unbearable to work outdoors turned to temperatures so cool that long pants and long sleeves were required. The extremes of Connecticut summer have given way to the most glorious of summer weather. 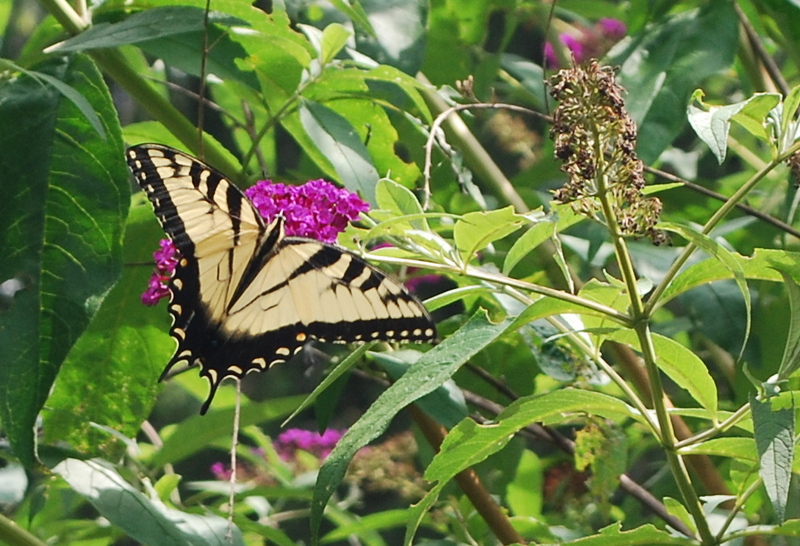 This entry was posted in in the garden and tagged butterfly, butterfly bush, eastern tiger swallowtail on July 30, 2013 by lenapietri. We are still waiting for our own tomatoes to really start producing. We enjoyed a handful of our own sweet little tomatoes on our greens. Preheat oven to 400. 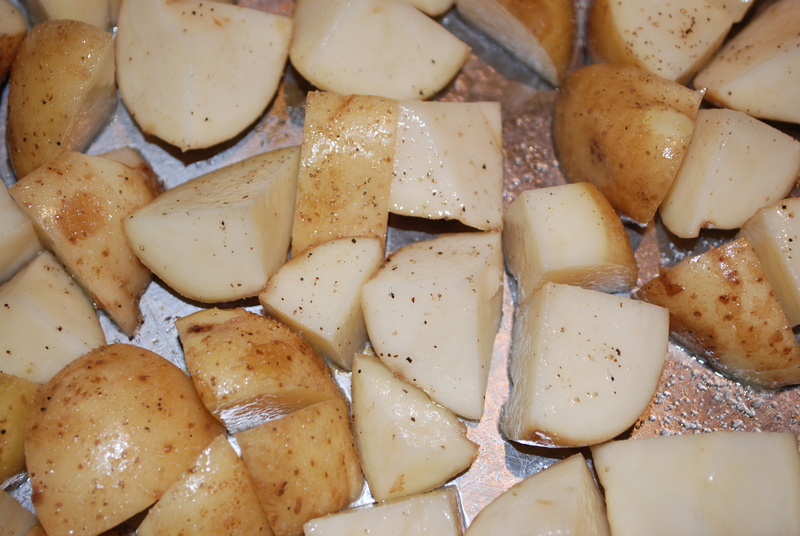 Toss potatoes and olive oil together in a medium sized bowl, spread onto a baking sheet in a single layer, sprinkle with salt and pepper and bake for 30 minutes till potatoes are tender. 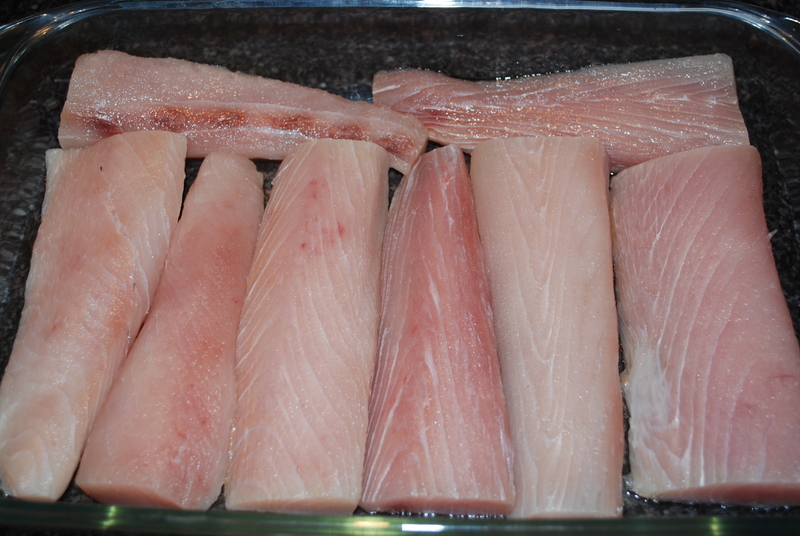 Place mahi mahi fillets in a glass baking dish. Preheat a small skillet to medium low. Saute onion in olive oil under a lid till tender. Remove from heat, add remaining ingredients, stir and pour over fish. Cover with tin foil and bake for 15-20 minutes (till fish is cooked through and is tender). 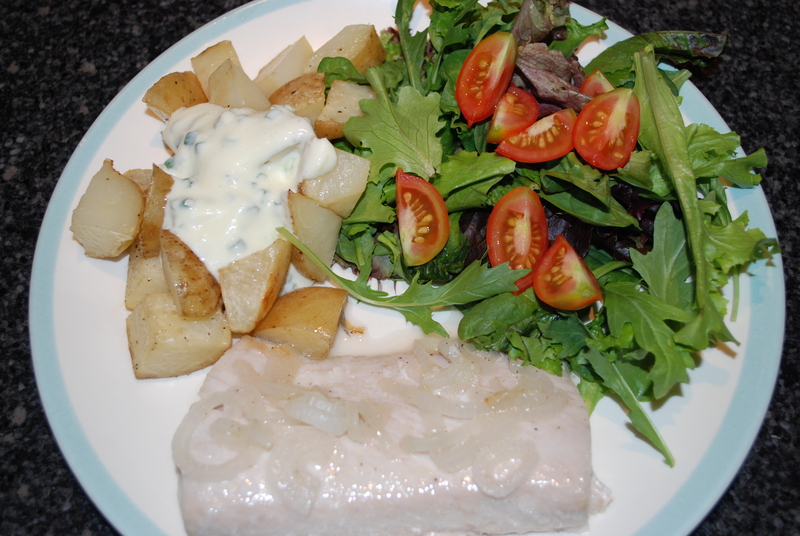 This entry was posted in in the kitchen and tagged chives, fish, homemade vinaigrette, mahi mahi, margarita, new potatoes, sauce, yogurt on July 29, 2013 by lenapietri. 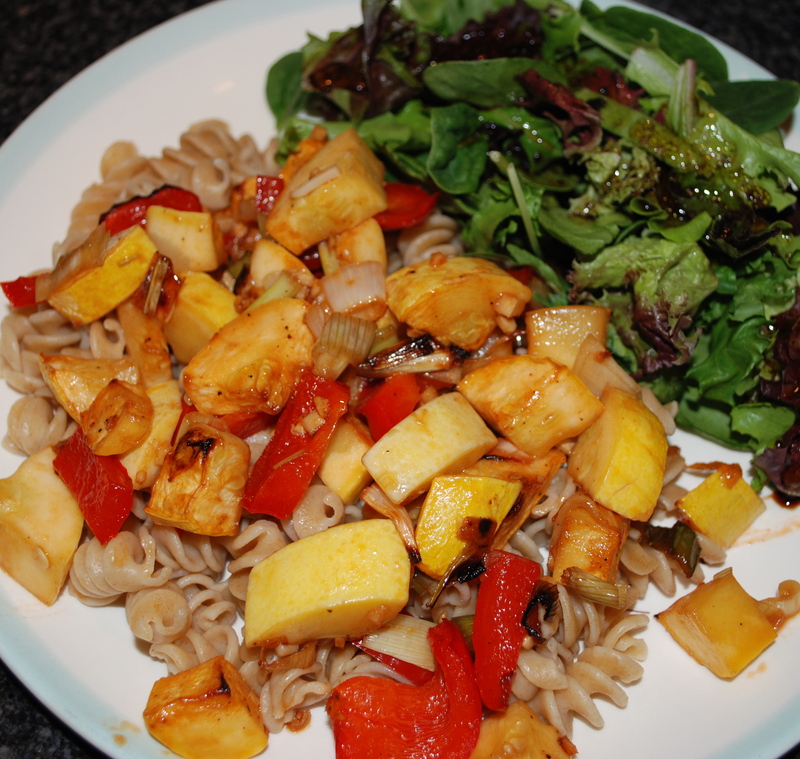 Put on a pot of water for the pasta (or cook quinoa for a gluten free meal). Mix vegetables, olive oil, soy sauce, ketchup, salt and pepper in a bowl and pour onto a baking sheet. Place under broiler for 10 minutes at the same time that the pasta goes into the boiling water. I served greens on the side of this dish with a homemade vinaigrette. 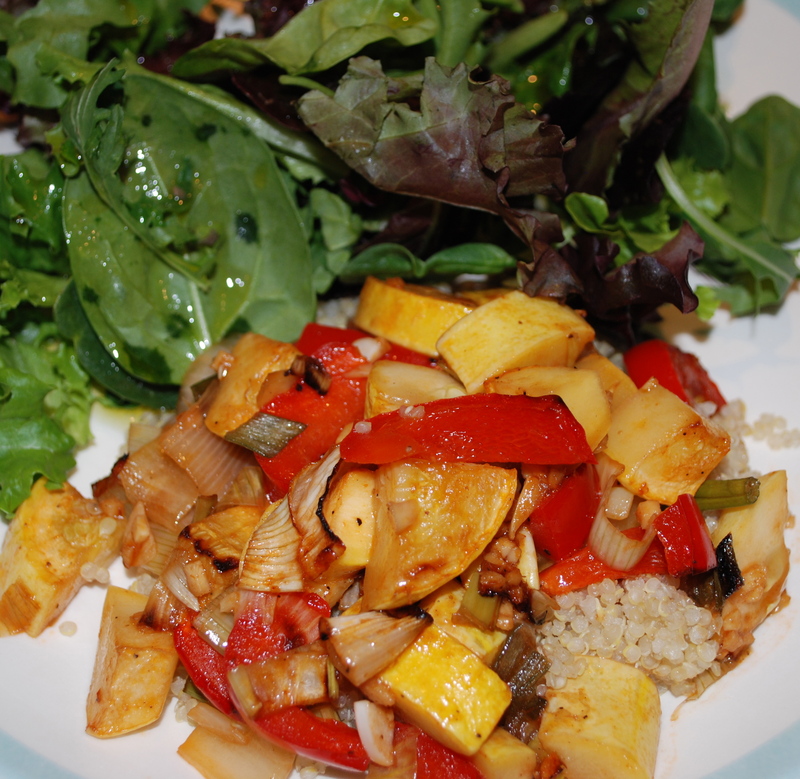 This entry was posted in in the kitchen and tagged easy meal, fresh, garlic, ginger, gluten free, gluten free option, quinoa, vegan, whole wheat pasta, yellow squash on July 28, 2013 by lenapietri. Last night we went out with friends to the wonderfully unique LaSalle Market hear the debut of “Blue Rubies” a new local band. It is a cozy place that serves great food, hosts local talent, sells some deli foods and corner store kind of food and is super community oriented. So, my confession and how it relates to breakfast? I love their fries. With lots of salt. And ketchup. I suppose there are worse foods to eat but I ordered a double; one regular and and one sweet potato (don’t kid yourself, just because sweet potatoes are good for you these deep fried lovelies are not). I had a little help eating them, but not as much as I needed. So living naturally went to a commercial break as I thoroughly enjoyed more than what I should have. It was divine until I crashed with exhaustion (not quite a food coma). Arriving home I regretted the binge, so overstuffed with over greased and salted deliciousness. This morning I had some hot lemon water and a cleansing yoga practice to try to atone for my food sin and followed that up with a cup of green tea and (above right) a bowl of fresh raspberries, raw rolled oats, pecan pieces, ground flax seed and almond milk washed down with some echinacea tea. Top left? Xav, who had just a few fries, had the usual type of weekend breakfast; toasted German whole rye bread, topped with havarti cheese, farm fresh (look at that yoke!) 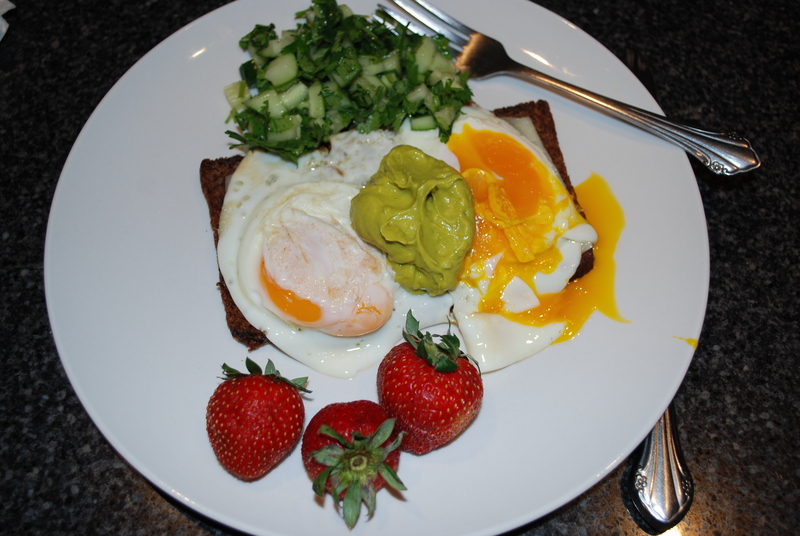 eggs and some left over avocado dip from last night with a side of left over diced cucumber and cilantro salad and strawberries. 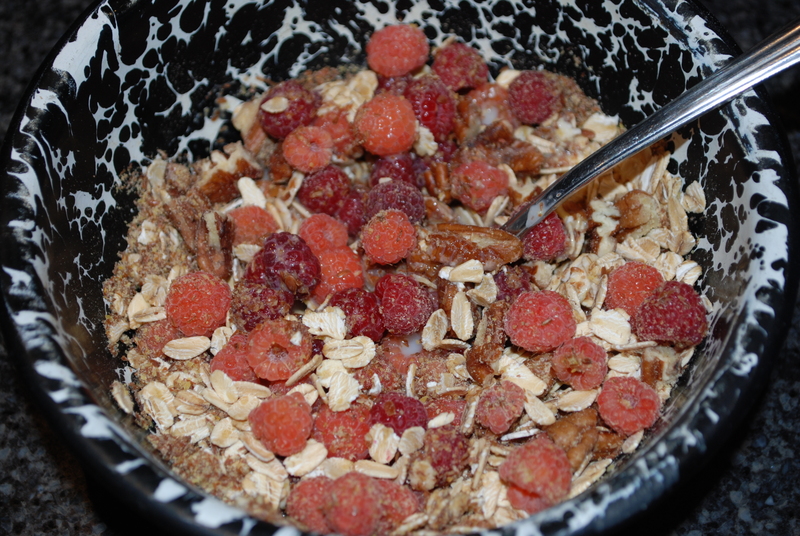 This entry was posted in in the kitchen and tagged Almond milk, breakfast, Flax, French fries, left overs, raspberries, Rolled oats, rye bread, Sweet potato on July 28, 2013 by lenapietri.